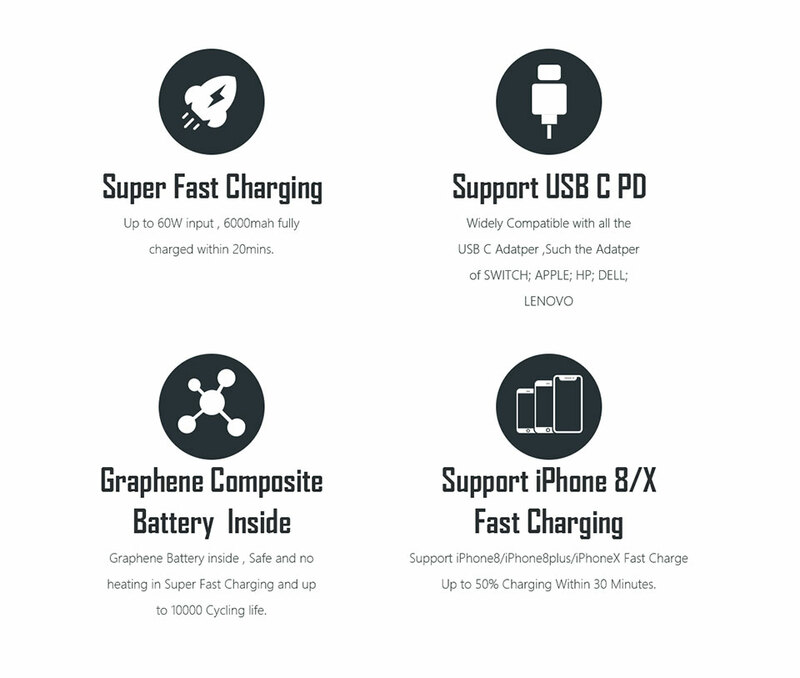 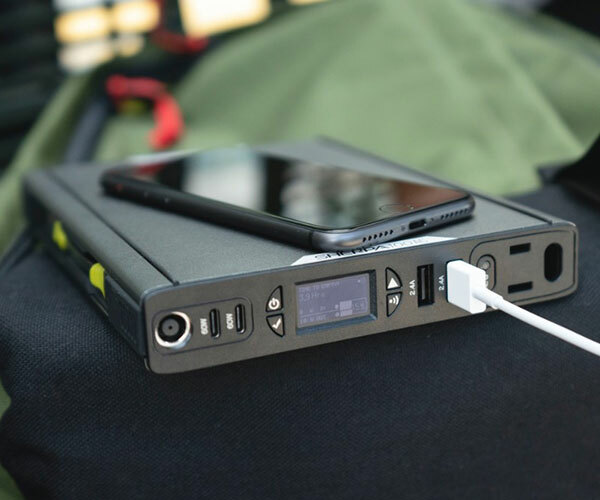 Elecjet’s Apollo Power Pack is a portable charger that uses graphene batteries. 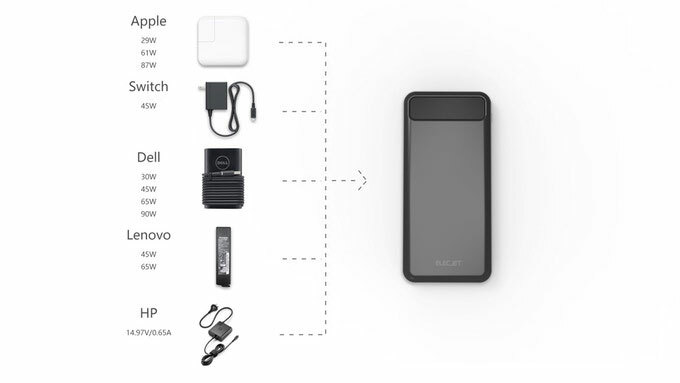 You can fully charge its 6,000mAh battery in just 20 minutes using a 60W charger. 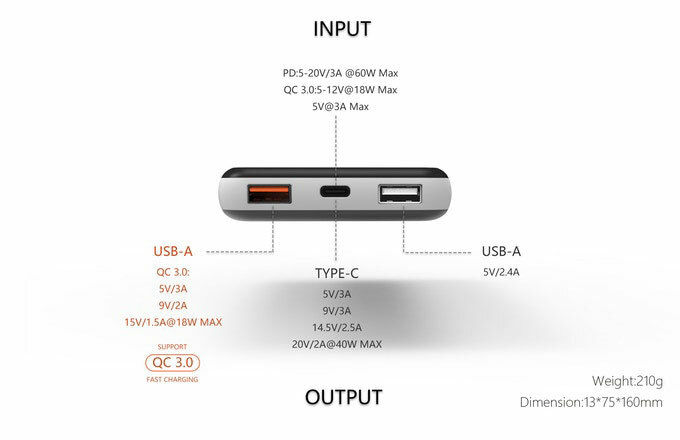 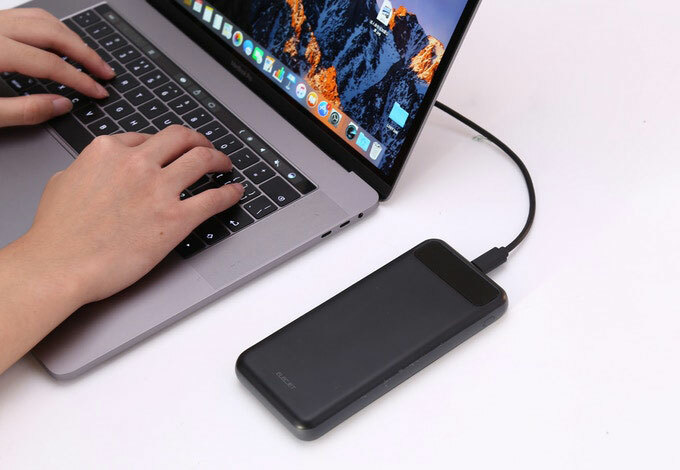 It has USB-C, USB 3.0 and USB 2.0 charging ports. 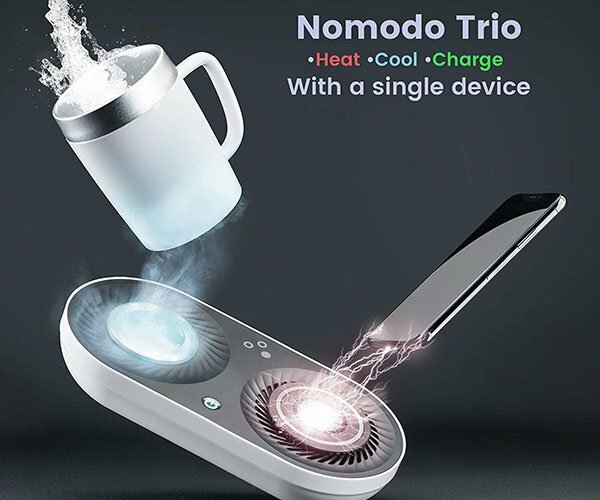 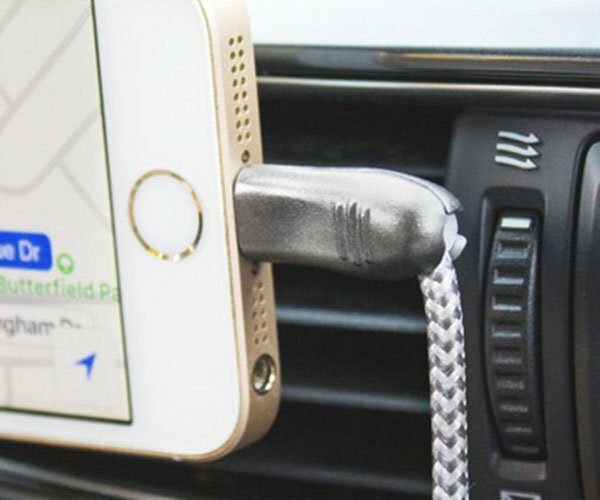 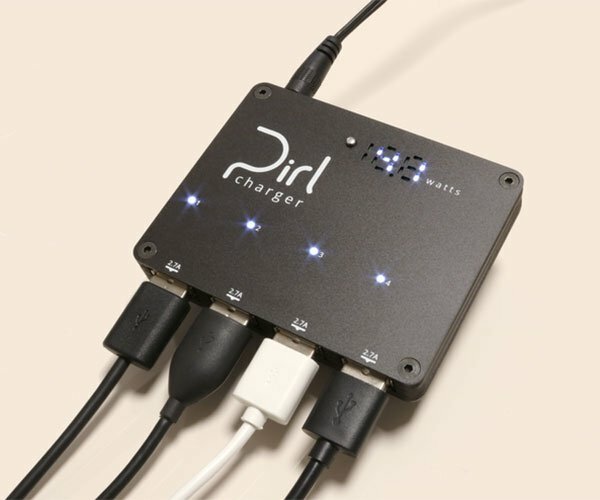 You can get it bundled with a 45W charger or a 60W charger.